A great fishing experience starts with a great crew. Scroll through and meet your team. 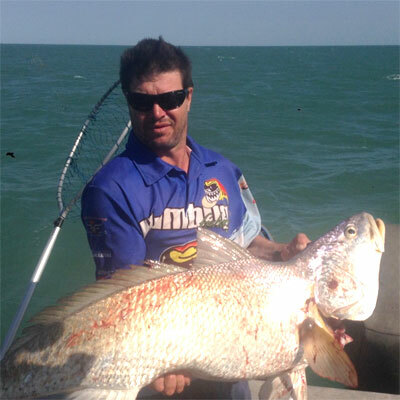 Scott is a qualified fishing tour operator, skipper and the owner operator of Humbug Fishing. He is driving force and creator of the business. His passion is his motivator and hard work is his ethic. He has dual trades, a motor mechanic and a carpenter, so if he gets into trouble he can always get out of trouble! 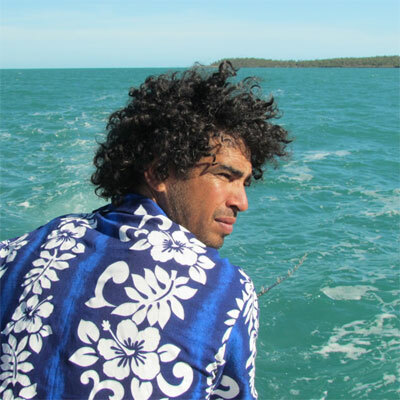 His quiet, competent nature will have you feeling comfortable to want explore more of the outback waters of the Northern Territory Coast. The organiser, you’ll get her on the other end of your enquiries. 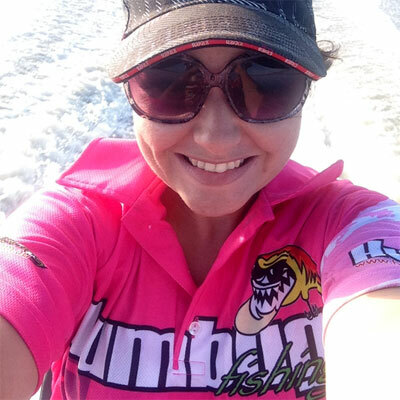 Lorna is best at organising your fishing trips dates, with a friendly, prompt and professional service. 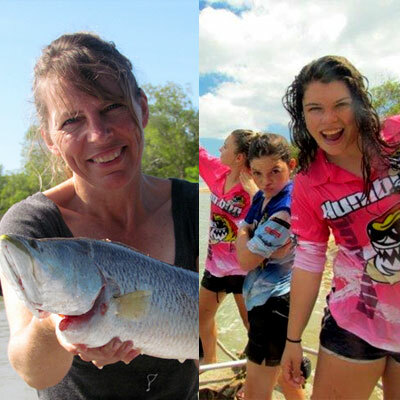 Married to Scott and fishing for the past 25 years, Lorna is a great fishing mate whenever she gets the chance. However, most of the time, Lorna is the one based on shore, while all the adventures are happening at sea, making sure everything runs smoothly as possible for everyone. Scott and Lorna’s three daughters Jessie, Jaimi and Ellie, are also keen ‘fisherwomen’ and have completed their coxswains certificates. Paige is a born and bred Territory girl. She has completed her coxswains certificate and is a very keen angler and quad bike rider. You’ll find her most weekends fishing with her mates. Paige joins Humbug Fishing on many a charter and adds an extra, most welcome hand, while gaining her sea time. Her enthusiasm for fishing and fun personality along with her hard work ethic will have you motivated for more. Rosie and Ruebin, are long time family friends. They are also traditional land owners of Wilgi Outstation. It is with great appreciation and thanks, that we are able to take you to their land. Humbug Fishing fishos get to experience their culture, the rugged outback, the remote beaches and enjoy some awesome fishing that is exclusive to this part of the country.